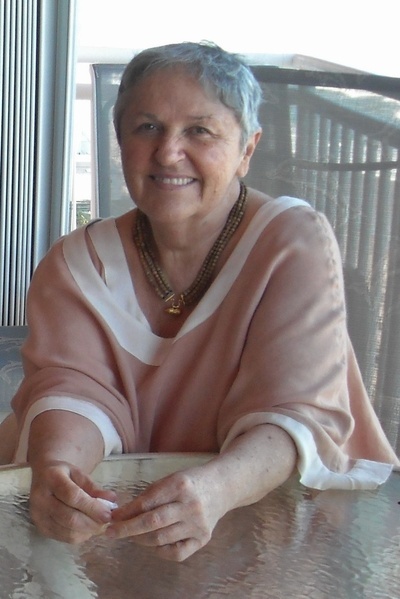 Early this morning on Saphala Ekadasi in Florida, our very dear Godsister Yamuna left this world. Don't have any details yet, but Dina Tarini found her asleep with her hand in her beadbag. 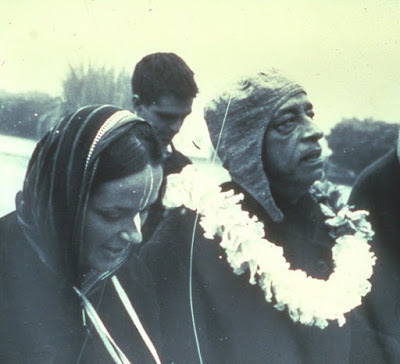 One of Prabhupada's first and dearest daughters, he said she cooks just like Radharani. So now she must be helping Radharani to cook for Shyamasundara. Too shocked to say more right now, but on 23rd in Vrindavan, we will have a memorial service! Now let us join with all the devotees around the world and offer prayers to Srila Prabhupada to bring her to his lotus feet. 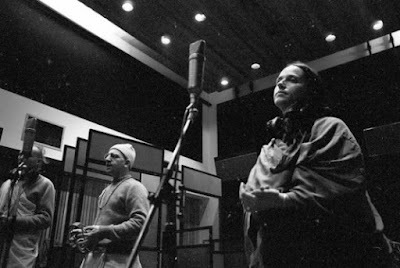 Yamuna devi dasi Recording The Hare Krsna Album. She is well-known for her glorious contributions to the Iskcon society and the world at large. She has authored many fine award winning books on Vegetarian cooking, and is famous as a kirtan leader, and for her beautiful singing of the Govindam Adipurusham prayers that we hear and chant daily in all of the Hare Krishna Centers throughout the world. We offer her our respectful obiesances.